New York, NY (February 4, 2019)- Liquor Lab (www.liquorlaboratory.com), Manhattan’s first hands-on, interactive craft beer, wine, spirits and cocktail events space, today announced Elayne Duff as its director of trade development, responsible for planning and leading a number of educational courses directed at bartenders and individuals in the beverage industry. The curriculum will kick off April 2, with a Mixology 101 preview class in mid-March. 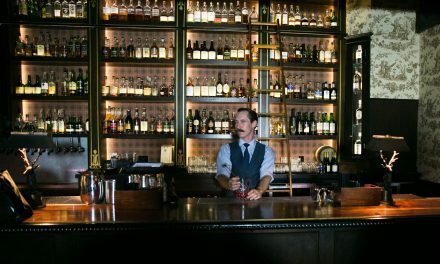 With nearly 20 years of beverage industry experience, Duff’s role serves to guide hands-on trade and cocktail training programs on behalf of Liquor Lab, within its headquarters at 138 Wooster, Fl. 2, in New York City. 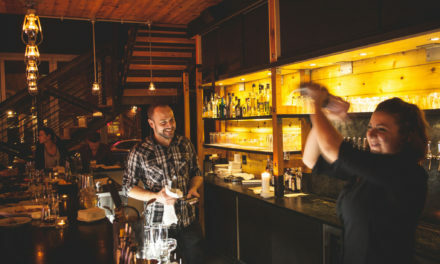 As part of the offered ongoing sessions, professional bartenders of all levels – including seasoned pros, spirit brand ambassadors, distributor sales reps, as well as bar and restaurant staff, and beyond – can immerse themselves in a variety of classes specifically formulated to help them achieve a variety of goals through cohesive instruction. Classes are taught by Duff and other industry experts, respectively. Bartender Fundamentals: A mixology 101 course geared toward bartenders, bar-backs and other hospitality folks looking to take their basic drink making skills up to the next level. Pupils will leave with a baseline knowledge of all the spirits on their back bars, a solid foundation of how to create the most called for classics and the knowledge of how to make balanced cocktails of their own. Industry Fundamentals: These informational sessions are made for sales reps and brand ambassadors who want to step up there skills so they can be better partners with their accounts. Each course is customized to the specific brands that attendee works with so that the individual can better understand how to mix with them, know the right cocktails for the right account, switching like for like, creating effective menus and costing them out so they may assist their accounts in being more profitable. Advanced Bartending Course: A syllabus focused on elevating one’s baseline spirit knowledge and mixology skills to the next level. Within this three 1/2 day course, students will be taking through a deeper dive on spirits, refresher on the foundations of mixology, through more advance cocktail creation techniques, menu planning, enhanced service methods, signature serves, as well as other beneficial methods to deliver a more high-level experience to their guests. Spirit Category Deep Dive: Categories offered will vary each month. Within these classes, students will have chance to taste multiple products that best represent the category while receiving a deep dive into one spirit category: from the choice of the raw material, the effects of terroir, fermentation, distillation, aging all the way to the bottle, finishing with recommendations of unique signature serves to offers to your guests. Training packages range in price, and will be customized in length and depth, per class. Before joining Liquor Lab, Duff established herself as an accomplished professional in the beverage and alcohol industry. She is a member of first graduating class of the grueling B.A.R. program in New York. She became Diageo’s first-ever luxury mixologist/ambassador, after working five years on the marketing and event side helping to launch such brands such Ciroc Vodka and Tanqueray No. Ten and has appeared numerous times as expert on the popular TV show Bar Rescue. Duff often speaks at bar shows worldwide, including Bar Convent Berlin, Tales of the Cocktail in New Orleans, LA and Nightclub & Bar Show in Las Vegas, NV. For Liquor Lab’s non-trade/public-facing classes, Meyer has enlisted the talents of top bartenders, as well as certified beer, wine and spirits specialists, to offer interactive teaching sessions and events. Each 46-person session is open to the public (ages 21+) and is led by Liquor Lab’s CCO (Chief Cocktail Officer) Freddie Sarkis, who was responsible for contributing to major programs such as Celeste, Bordel, and the Broken Shaker in Chicago, and refined his craft in Miami, Pittsburgh, Toronto, Europe and beyond. Sarkis has also worked as a national brand ambassador for Beefeater and Plymouth Gin. In addition to Sarkis leading sessions at Liquor Lab, many world-class guest bartenders and specialists contribute to events and themed nights, as well as a few surprise guests. The experiential 2-hour consumer sessions range from step-by-step Margarita making to classes dedicated to crafting classics such as Manhattans and the Old Fashioned. Most ticketed Liquor Lab classes start at $65/person. Private events are also available for large groups. For bartender training rates and dates, please contact info@liquorlaboratory.com. For additional information, press inquiries and media requests, please email hilary@liquorlaboratory.com, or visit www.liquorlaboratory.com. The Crawl: San Diego, Calif.